Hardcover, 7.75 x 10.25 in. / 174 pgs / 77 color / 10 bw. Edited with text by Stella Rollig. Text by Patricia Grzonka, Johanna Hofer, Kate McNamara, Bob Nickas. Happiness Runs presents the colorful geometric paintings, sculptures and woven floor pieces of the New York–based artist Polly Apfelbaum (born 1955), whose work is stylistically influenced by movements such as pop art and Bauhaus, as well as craft culture, feminism and comic books. As Bob Nickas writes in an essay included in the publication, "The viewer, then, is also Apfelbaum's subject, meant to interact with her work and be acted upon. After thirty years' time, she continues to find new ways of grounding the viewer and orchestrating the conditions through which we may immerse ourselves in art." 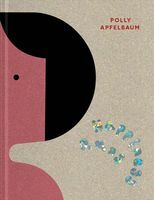 This volume, accompanying an exhibition in Vienna, includes extensive photographs detailing some of Apfelbaum's recent major works, such as Deep Purple, Red Shoes, Face (Geometry) (Naked) Eyes and The Potential of Women. In addition, installation views illustrate the exhibition at Vienna's beautiful modernist space, Belvedere 21. FORMAT: Hbk, 7.75 x 10.25 in. / 174 pgs / 77 color / 10 b&w.